Carmen J. Macca, CPA, is a managing partner at Simione Macca & Larrow LLP. During his career, Carmen has served a diversified clientele consisting of closely-held companies, not-for-profit organizations and governmental agencies. His core areas of practice include strategic business planning and counseling, mergers and acquisitions, employee stock ownership plans, family succession planning, bank financing, pre-IPO planning, litigation services, IRS and state representation, plus domestic and international tax planning. Before going into private practice, Carmen spent four years with the Internal Revenue Service Examination Division, where he also served as instructor of agents in training and developed audit training materials. Carmen has testified as an expert witness in Connecticut and New York federal and state courts in matters involving fairness opinions, tax litigation, and family owned businesses. In 1999, Carmen was recognized by Accounting Today (a national trade newspaper for the tax and accounting industry) for outstanding achievement in client service. Carmen lectures nationally on various subjects including tax, ESOP's, risk management, and ownership issues for engineers, architects, and manufacturing companies. He has also served as an instructor at the University of Hartford graduate tax program. Carmen is an active advisory board member to several companies within a number of industries, including manufacturing and healthcare. Carmen is a member of the American Institute of Certified Public Accountants, the Connecticut Society of Certified Public Accountants (CSCPA), and The Hartford Probate Forum Group. Carmen has served on several CSCPA tax committees, including the Federal and State committee (for which he served as chairman) and the Connecticut Bar Association committee. 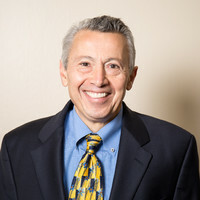 Carmen received his Bachelor of Science Degree in Accounting from Bentley College in 1979, and his Master’s Degree in Taxation from the University of Hartford in 1984.